How do you feel now? Serene? I feel enveloped by love when I walk down this hallway. The desire to feel calm, peacefulness and know that there are many others seeking tranquility in a hectic place is all I need to keep me coming back. This mural has not always decorated the hallway. 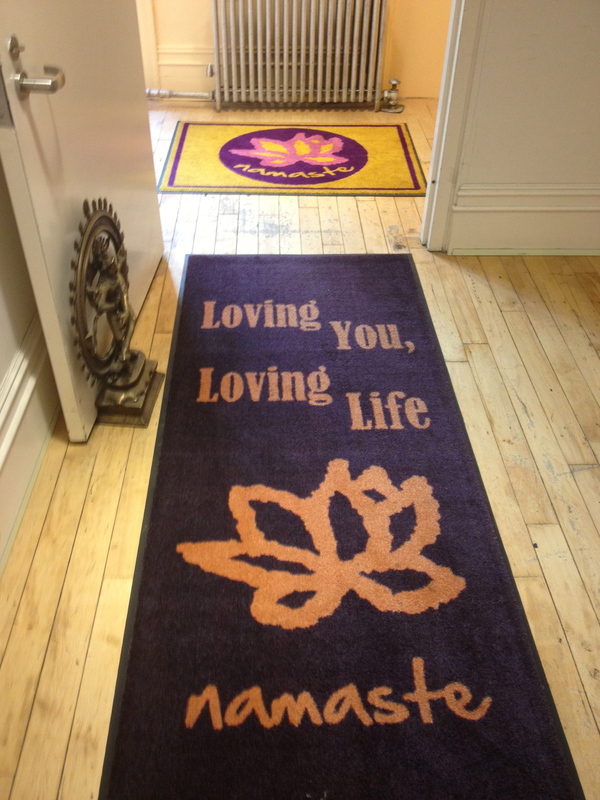 I’ve watched the studio blossom into this beautiful space where the yoga family at Laughing Lotus are committed to uplifting spirits. 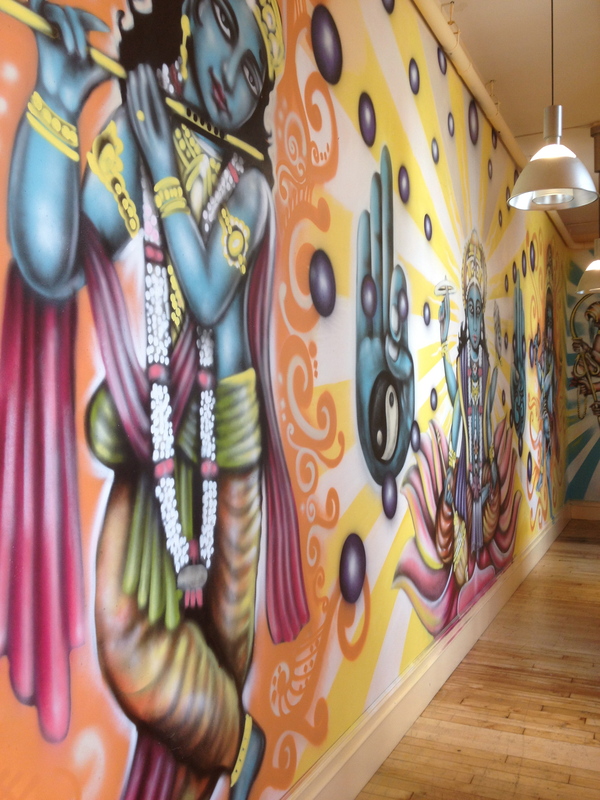 Although the studio has been open more than a decade, it continues to evolve into a haven for the yoga community in the bustling city. I’ve been coming to the studio since the fall of 2011 and have seen the paint colors change, new draperies on the huge windows, new places to store mats, a cleaning station, and more. Due to my limited attention span I continue to take the magical Lotus Hour class that is offered multiple times per day. I’ve taken classes with many instructors, all very knowledgable and well-studied in their practices. I always enjoy the little anecdotes and intentions before our chanting and Ohm’s to open class. The center also offers tons of workshops and dance parties continuously, some of which I’d like to participate in at some point. Need some love? To settle your worries? Go downtown to some place that makes you feel loved! P.S. You can check out the sister studio in San Francisco if you’re there!